Middle-aged Vera Tushevska daily goes shopping in the small improvised market with a view of the former giant industrial complex Zelezara, where ore used to be melted, but today, she says, they do not know what is produced. She has been living in this settlement since 1973, but there has never been so much stink as now. “There used to be smoke, but it did not stink. We knew that ore was melted in Zelezara. Now we neither know who works in Zelezara, nor what is melted. The only thing we know is that we feel a burning sensation in the eyes and throat, coughing … says the resident of Zelezara, where citizens gathered last summer to protest against the enormous pollution from the circle of the complex and they received assurances by the plant “Makstil” that they would reduce the work to 30 percent, and that it would work exclusively at night. However, Tushevska says she is not calm because of the promises. “Smoke and stench start to feel at night around 7 or 8 pm, sometimes even 9 pm. Sometimes when I get up at night and look through the window, I see clouds. Literally as if atomic bombs fell. I cannot describe it. Waves and waves of smoke rise up. There are times when the whole neighborhood is in smoke. Everybody comments on this, but when they need to go out on the street, everyone is home, she says. She complains that she has different diseases, including an eye surgery, for which she says “it is certainly not from going to the ballet or sitting in a cafeteria”. But Tushevska is especially worried about the growth of lung cancer in her neighborhood. “For a year four died of lung cancer in my neighborhood. It seems alarming to me. I called the Ministry of Environment to complain about the pollution, but I got the following answer: Well, here it is also polluted. Is that an answer?”, says Tushevska. She shows us a vast pile of dross, which she says has been made in the last two or three years, although before that there were fields where they planted watermelons and wheat. “That pile is growing and growing. Is it examined? I do not want to criticize, or to praise, I am a citizen of this country and I want a decent life”, says Tushevska tearfully. 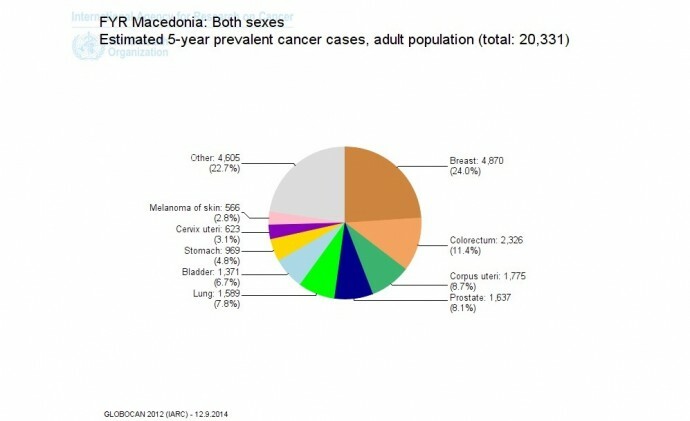 In Macedonia every year there are 4,500 new cancer cases of various types, although international experts argue that this figure is much higher, that it is even 7,000 cases. However, currently, state institutions do not keep records whether cancer patients mostly live near factories and plants, which are considered major polluters. Just general numbers are kept. SCOOP-Macedonia investigated how and to what extent air pollution may be associated with cancer in the population. Findings are alarming: even two-thirds of the year we are exposed to pollution, and it is estimated that one third of deaths results from air pollution. High concentrations of harmful gases in recent years can also be observed in the summer months. When the fact is added that there is the upcoming heating season, we can only assume if it will surpass the record air pollution we had last winter. This summer, the World Bank came out with disappointing data, that the air in Macedonia is among the most polluted in Europe, and that pollution has been above the European standards for years. Macedonia is the first on the list of the Bank when it comes to exposure of citizens to air pollution with solid particles. The country is fifth by the number of annual deaths caused by air pollution or PM10 particle pollution. According to the World Bank, solid particles are responsible for more than 1,350 deaths a year. “Early mortality results from cardiopulmonary disease and lung cancer. In 2011, the level of contamination from solid particles was primarily responsible for 485 new cases of chronic bronchitis, 770 hospital admissions and 15,200 emergency visits. Reducing PM10 and PM25 to European limits will avoid more than 800 deaths and numerous lost working days, thus saving in health care costs of 151 million Euros a year”, it is noted in the report of the Bank. 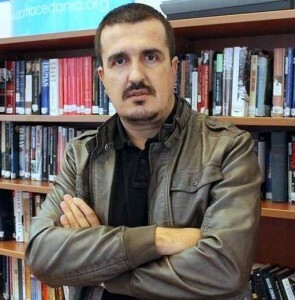 Dragan Gjorgjev, expert in ecological health from the Institute of Public Health, who worked on the report for the World Bank, emphasizes that the recommendations of the report, which was presented to the Government, should be taken seriously. “It is seen that concentrations of air pollution during the year are in great numbers over the allowed limit. The largest percentage of pollution is in Skopje, but you can see that year after year there is pollution also in other towns such as Tetovo, Kavadarci, Kumanovo, Bitola. These towns are seriously polluted”, says Gjorgjev. He points out that in Skopje and Tetovo as key towns for now, pollution, which is above the allowed concentration, is in certain places 60-70 percent. “In fact, only 20 or 30 percent of the year we have concentrations below 50 micrograms of PM10 particles. These are huge concentrations. Some tolerance is mostly 20-30 days a year to allow pollution over allowable concentrations, but to have 150, 200 or more days of pollution, it is striking figures. It is a terrible living pressure. In Europe, if there is such a thing, measures are immediately taken”, says Gjorgjev. According to his estimates, only in Skopje, of about 5000 deaths per year, presumably 1200 result from air pollution. During the study, experts from the World Bank made ​​ so-called scenarios, according to which if pollution is reduced by only 5 micrograms, over 120 lives will annually be saved only in Skopje. SCOOP-Macedonia asked the Institute of Public Health for information on the number of people with cancer by municipalities. According to this institution, most cancer cases for the last four years have been registered in Skopje, where only in the municipality Centar 800 new cases were registered last year. Then follow the municipalities of Aerodrom, Cair, Gjorce Petrov, Karposh and Gazi Baba. Of other municipalities, on the top of the table is Strumica with registered 3,491 cancer cases, which is more than 400 than two years ago. Four hundred new cases for only a year were registered in Bitola and Veles last year. And there are hundreds of new cases in Kumanovo and Tetovo. Director of the Oncology Clinic in Skopje, Dr. Milan Ristevski says that every year 4,500 new cancer cases are registered in the country. Year after year the number of lung cancer cases is increasing, and he cites smoking and pollution as main reasons. “Certainly, especially in correlation with respiratory ones. When PM10 and PM 2.5 particles enter the body, they do not cause cancer immediately. First, they need a specific place to cause mutation. So there is no cancer without mutation. Genetic mutation has to happen” explains Dr. Ristevski. He adds that malignant diseases occur after a number of years, and the risk of their occurrence is growing with people’s age. Heating season has not started yet and these days there have been high concentrations of pollution registered in Karpos, Gazi Baba, Tetovo, Veles, Lisice and Kavadarci. 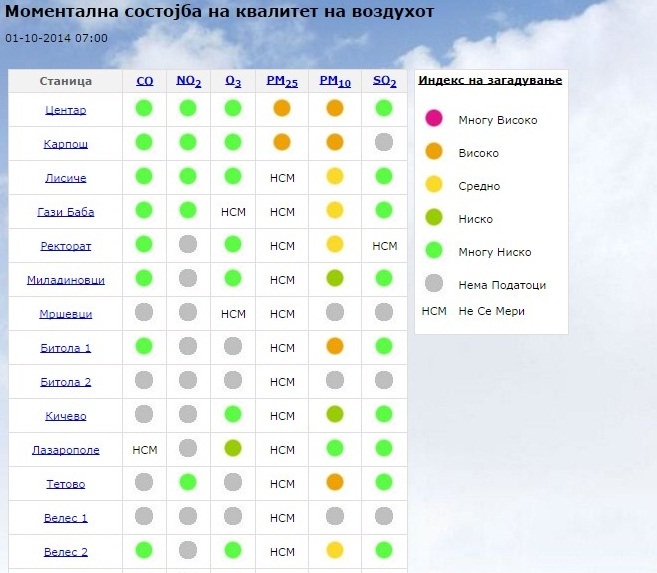 On the website (http://airquality.moepp.gov.mk/?page_id=2) of the Ministry of Environment and Physical Planning pollution is monitored through 17 stations, but not all work. The competent cannot confidently say which contaminants cause these high concentrations. They assure that two years ago an inter-ministerial group for pollution reduction was formed. “Two years ago we established an inter-ministerial group where all relevant ministries agreed upon short and long term measures to reduce pollution. We exactly know the condition of pollution, and therefore we take measures. Formerly heating plants used to work on petrol and oil, now they are all on gas, it is a huge measure to reduce pollution. The procurement of new buses also affects the traffic. Traffic has a huge impact, we strive to introduce higher standards for the import of older vehicles. The construction sector has a tremendous impact. We gave a recommendation to construction companies to wash the wheels when leaving the construction site because it is a kind of dust that affects citizens’ health. Then we recommended the use of public transport”, explains Saso Sekulovski, spokesperson of the Ministry of Health. However, experts at the Institute of Public Health doubt the implementation of measures to reduce pollution that were given last winter because of the enormous pollution that was registered. And add that measures should be introduced between two heating seasons, and not before the immediate start of the heating season. Who are the biggest polluters? 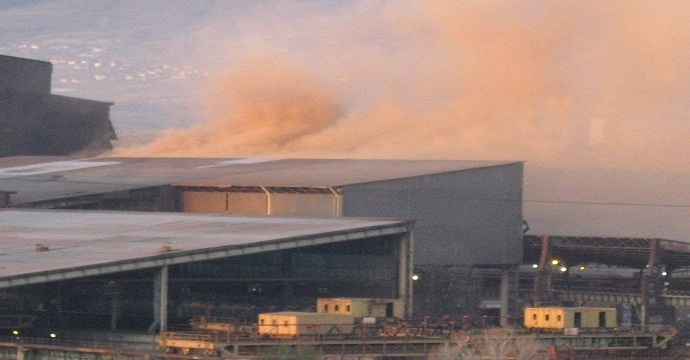 During the preparation of the World Bank Report, experts found pollutants in industries where they sought concentrations of exhaust gases from factories. “We made an assessment who the biggest polluters are and they are REK Bitola, Oslomej, i.e. those that produce energy are generally worst polluters. At the city level, it is the process of heating, traffic, urbanization, the dust rising, and industry, depending on the location of the industry”, says Dragan Gjorgjev from the Institute of Public Health. According to him, the particles are not tied only to a particular industry, but are part of the exhaust fumes that come from the combustion of fuels used in transport, heating and factories. However, as expert in ecological health, he points out that the world does not need such assessments to take action and to decide to close a facility. “For example, it is clear that Makstil pollutes, that is placed in a residential zone. You have industrial complexes as Makstil, Cementarnica Usje, which are placed in a residential zone that is beyond all rules. You must have a large protection zone of greenery around these facilities in order to reduce air pollution. So the level of PM10 and PM2.5 particles, for example, of settlement Lisiche is a conglomerate of several industrial complexes, but with aimed measure you will find where the pollution comes from. What also needs to be done, and is not done regularly, is measuring the emissions at the point where the exhaust gases are. From the measurements made in the Environmental Inspectorate, which I have as information, they have high emissions. No strict connection is necessary: They pollute, emissions are high, they have to cut down”, Gjorgjev is straight. He says that in the world, even here in the Law on Environment there is authority on political factors and precaution measures to close a facility if it is considered to be a potential source of pollution. “So you do not have to prove in court that the facility pollutes, but it can be closed by a measure of precaution. Producers know everything, no one can prevent someone to take actions”, says Gjorgjev. According to him, not enough measures are taken to stop pollution. “It is the same with the traffic. It is clear that Skopje cannot accept so many vehicles, and we widened the streets. Instead of restricting the traffic, the focus to be on public transport, we call vehicles to come to Skopje. Furthermore, construction sites. The measures to wash vehicle wheels from construction sites are not strictly enforced. Here you have a great source of dust. “The hardest to control is citizens’ heating, we do not know what people use for heating”, adds Gjorgjev. One month before the end of the prolonged period for supply of filters for factories “Makstil” and “Jugohrom”, there is still no official confirmation of where the process for these two industries to obtain the necessary A integrated license is. As well known, they have not previously met the requirement to buy the filters by April 1 this year, when all industries had to get the A integrated license. The government decided just for these two plants to prolong the deadline for purchasing filters by the end of this month. Minister for Environment, Nurhan Izairi, early last month visited “Jugohrom” where he concluded that the factory was late with the implementation of plans for meeting the conditions for purchase of environmental license. On the other hand, the Ministry of Environment even after four months does not disclose the results of the monitoring the pollution of “Makstil” installations, which according to them, were sent to an accredited laboratory in July. Although both mobile devices for five days monitored the pollution at the plant this summer, the results have not been disclosed yet on the grounds that they are compared to those reportedly obtained from an accredited foreign laboratory. “We are in constant contact with the management of both companies. The explanation why filters have not been put yet was that they are big investments for them. Around 10-11 million Euros should Makstil allocate for the so-called hood for capturing these PM10 particles, or dust collection. And the same refers to Jugohrom, they had a problem that ownership was transferred and the procedures stood still”, explains Saso Sekulovski, spokesperson of the Ministry of Environment and Physical Planning. The residents of Zelezara, who this summer protested against the exhaust gases emitted from Zelezara, seeking to stop pollution, do not believe that they will fulfill the promise of placing filters to prevent pollution. “In the evening and in the morning we cannot open the window. There is unbearable stench, clouds, nothing can be seen. Breathing such air one will certainly cough. Just no one wants to hear the people in this country. As the state postpones filters from months to a year, they will eventually take us to Butel before they put a filter”, says a senior resident of Zelezara who lives near the industrial complex Zelezara. 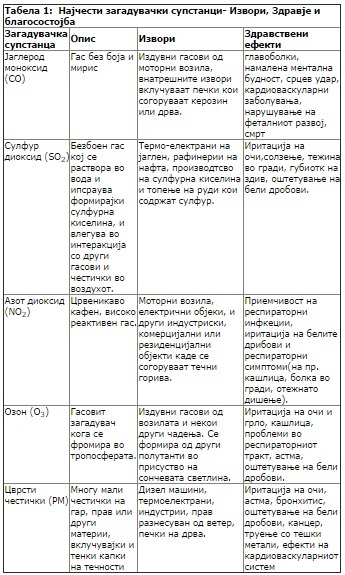 “The specific pollutants Makstil and Jugohrom did not respect the deadline for compliance with the best technology available techniques for reducing pollution by April 2014, that is, they did not implement all measures and activities of operational plans in order to reduce pollution. Makstil is to meet the measures and implementation of the key measure, construction of roof hood to capture emissions, not later than December 2014. 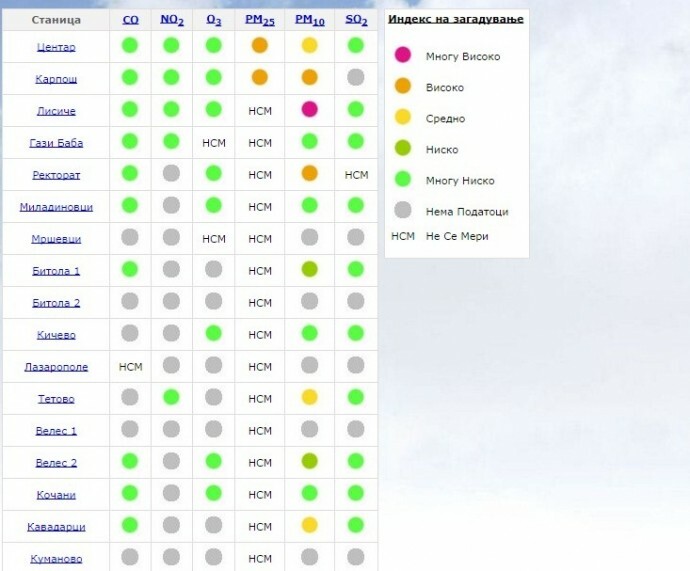 Unfortunately, other than the promise and several announcements by the Ministry of Environment that they gave penalties for violating the deadline (though data was never published that the Ministry punished them), so far there has been no evidence that Makstil is working on the roof hood”, says Aleksandra Bujaroska of NGO “Front 21/42”, which follows pollution from industrial facilities. For “Jugohrom” Bujaroska concludes that the situation with the implementation of the measures is even more complicated. “The operator has not implemented many of the measures to reduce pollution and justifiably, given the financial situation, the question arises whether this operator will be able to implement the measures at all to reduce the pollution or it will have to close”, says Bujaroska. Previous Previous post: The state renovates offices with money from the companies? !